I have this theory: You can measure a city’s sophistication by the number of champagne bars it supports. Barcelona, one of my favorite places in the world, has dozens (they are called xampanyerías, which sounds as festive as a popping cork). There are several famous ones in Berlin, London, and Paris (the best, Bubbles, is just off the Champs-Elysee) , and at least one good one in Chicago, New York, San Francisco. Reason enough, as far as I’m concerned, for a visit. Frankly, I never tire of champagne (which brings to mind the dying words of Lord Maynard Keynes: “I wish I’d drunk more champagne”). 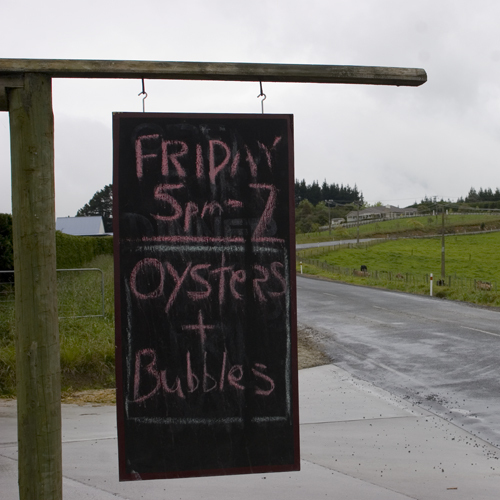 I particularly like what I call “Farmer Fizz” sparklers: champagnes from small artisan producers like Egly-Ouriet, which produces a creamy bubbly with pear flavors, and the remarkable Henri Billiot. But just about any sparkling wine will do. My love for bubbly goes back many years, to an 18 hour flight to Kuala Lumpur when I was seated in business class next to a woman from New Orleans who clasped a bottle of Xanax in her sweaty palm while talking out loud to herself as the plane took off. And then she took the glass of Veuve Clicquot from the attendant and handed it to me before grabbing another for herself. I drank the champagne. And another. Long before the night ended, the woman from New Orleans and I had depleted the stock of champagne in business class. And become life-long friends. So now, no matter where I am, no matter what time of day or night it is, if someone offers me a glass of champagne, I just say yes. You would be wise to do the same. There is no culinary language more seductive than French. Consider that most basic of edible tubers, what the Germans call Kartoffel, the Italians and Spanish patata, and we know as the potato. A homely name for a drab vegetable. Except in France. Where it is lovingly referred to as a pomme de terre—an apple of the ground. And what do the French do with these “apples of the ground?” Why they coif and rouge the little beauties, dressing the country bumpkins up as gratin dauphinois—what we unimaginatively call scalloped potatoes. Or they soak and press the little darlings into pommes Anna, a buttery potato cake with a luscious crispy crust. The secret to most French potato dishes—from gaufrettes to gratins—is another creatively named Galic wonder, the mandoline. No one really knows who invented or named the mandoline. Manual vegetable slicers, made out of blocks of wood with a sharp blade in the middle, have been around for hundreds of years, but the first metal version was made by Jean Bron, a manufacturer from the Haute-Savoir region of southern France, in the early 50s. 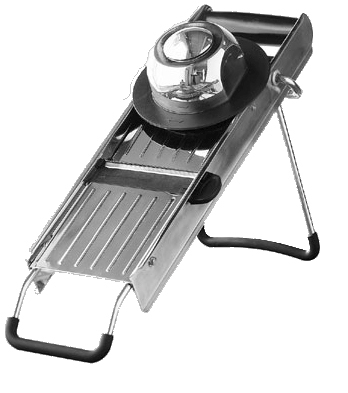 Like Edith Piaf, the Bron mandoline became a French classic because it is proletarian in a haughty sort of way. Every French chef has a mandoline. And respects it like an elderly relative. One of my favorite chefs, Gregory Short, remembers first coming across a mandoline while studying at the Culinary Institute of America in Hyde Park, New York. “I had a French instructor who was so adamant about the care of the mandoline that you had to sign it out before you could even use it,” he says. But the hassle was worth it, particularly when Short had to prepare something like Vichy carrots or thinly sliced celery root. Mostly I use a somewhat expensive stainless steel French mandoline but I also get a kick out of using an inexpensive Japanese model, Benriner, because it’s lighter and easier to clean. 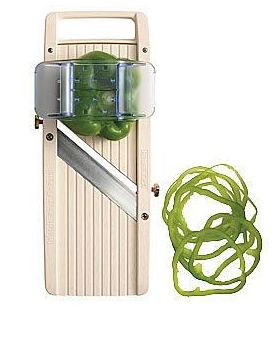 Plus it gives you the flexibility to shave very thinly sliced vegetables right over the dish. While almost all mandolines are designed with cutting guards to protect fingers from being thinly sliced, I seldom use it. Sometimes I’ll hold the vegetable with a towel but usually I’ll just use my fingers to push the vegetables through—and try to be careful. 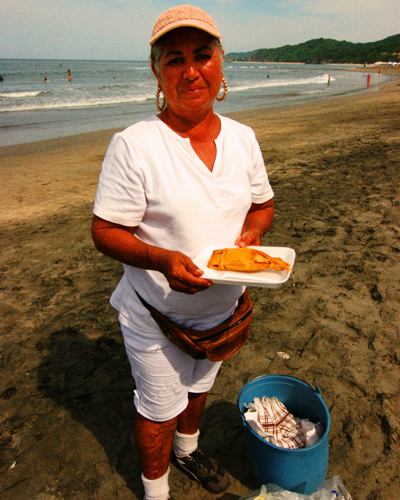 The Tamale Lady of Sayulita. Photo by David Lansing. “You may not be able to tell at first that tamales are being cooked except perhaps by the steamy windows—but later on a rich, subtle smell of corn husks, masa, and good lard, all intermingled, fills the house and gets stronger as the cooking nears completion. After their allotted time, you open one up to see if it is done. You heave a sigh of relief as a soft, spongy, white tamal rolls quite easily from the husk. It could so easily have been heavy and damp. I think the first time I came across The Tamale Lady was Christmas Day two or three years ago. I was lounging, half-asleep, on a beach chair in front of Don Pedro’s in Sayulita, Nayarit. This particular stretch of sand is one of the most remarkable in the world (although it never seems to pop up on those ubiquitous “best beaches” magazine lists) for not only is the water warm and cerulean, the breezes mild, the palm trees shady, but you can sit here all day and eat and drink just about anything you want without ever having to move, from little spears of charcoal-grilled shrimp to a fermented pineapple drink called tepache served in a hollowed-out pineapple husk. Sit there long enough and you will hear the calls and whistles for roasted peanuts, jelly beans, chicharrón, mango chunks, torta Mexicana, elote con queso, coconut ice cream, and plastic cups brimming with spears of watermelon and jicama. But do not be tempted. Wait. Until you see a short, gray-haired woman with large hoop earrings carrying a blue plastic pail: The Tamale Lady. The first time I tasted her wares was serendipitous. I had been waiting for the woman who usually came around with the tin pail selling tortas. But she was sick that day or maybe just taking the day off and suddenly it was almost two o’clock and I was starving. So when I saw the little woman, dressed all in white, calling out, “Tamals!” I flagged her down, figuring I’d buy a single tamale to appease my hunger while waiting for something more substantial. In her bucket were pork tamales, tamales de pollo, and, because it was Christmas, she said, tamales dulces—the sweet corn tamales from Jalisco flavored with piloncillo (cones of raw sugar), anise seeds, and cinnamon. Curious, I got one of those. What a revelation! The kernels of corn inside the moist husks were as sweet as if they had just been harvested that morning (which it probably had) and the piloncillo and spices gave it a Christmas-y cookie flavoring. Licking my fingers, I ran down the beach after her. “Excuse me,” I said, “but that is the most delicious tamale I’ve ever had.” She smiled. “Mi tamales de carne de cerdo son también muy buenos,” she said. So I tried the pork tamale. And then the chicken. Each was more remarkable than the last. “¿Cómo te llamas?” I asked her. She shrugged. “La señora tamal.” The Tamale Lady. Who I hope will be on the beach again this Christmas selling her amazing tamales dulces—another one of my favorite things. Note: Between now and January 1, we’re going to write about ten of our favorite things (in no particular order), from 2009. First up, The Gentleman’s Companion. The trip around the world was aboard the SS Resolute, “a grand, three-stack steamer, complete with a ballroom, a French chef, an orchestra, and an itinerary that included forty-five foreign ports,” according to St. John Frizell, a restaurateur and former writer for Bon Appetit who has written the most extensive history of Baker to date. 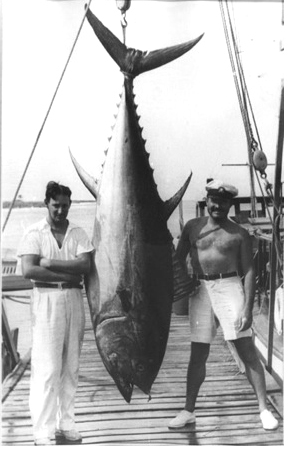 Charles H. Baker, Jr. and Ernest Hemingway, circa 1935. 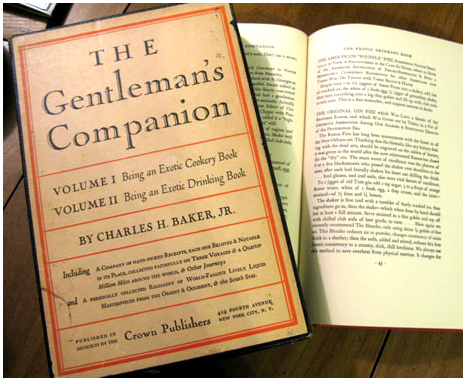 So raise a toast: To Charles H. Baker, the original flâneur, and author of the brilliantly-entertaining but long-forgotten Gentleman’s Companion—one of my most favorite things. We did not go straight from Sid Caesar, the Rosenbergs, coonskin hats, Heartbreak Hotel, Speedy Alka Seltzer, Sputnik, hula hoops, and Tom Dooley to Twiggy, Valley of the Dolls, bell-bottoms, love-ins, Tiny Tim, and Hair—it just seems that way. In between the great Eisenhower yawn and the Nixon nightmare were a handful of seldom-recalled halcyon years marked by sleek fast-back cars (the Corvette Sting Ray was introduced in 1963, the Mustang a year later), feel-good TV shows like Dr. Kildare and Andy Griffith, and the crooning of Trini Lopez and the Singing Nun. The early 60s marked a transitional time in more ways than one. Let’s call it the Era of Pentimento, a handful of years that reached its apex in 1965, the year before Peter Max began painting over Norman Rockwell’s romanticized Americana with psychedelic day-glo colors that left us with a decade-long hangover known as the Somnambulistic 70s. Before adolescent boys like myself had Barbarella, we had Dolores Erickson. Who, you wonder, is Dolores Erickson? In 1965, Dolores was the model on what is undoubtedly the most famous album cover ever shot: Whipped Cream and Other Delights by Herb Alpert and the Tijuana Brass. More importantly, though I was only 10 at the time, Dolores Erickson was my first girlfriend. I met her—or at least that remarkable image of her, coyly looking directly at me, salaciously covered from mid-bosom on (just barely) in thick mounds of whipped cream—on a steamy night in August, 1965, beneath a sheet-covered ping-pong table doing double duty in our living room as the bar for my father’s surprise 30th birthday party. The oh-so-tempting and sweet-as-honey Dolores Erickson. As I’ve said before, my dad was a Frank Sinatra-Jackie Gleason-Nat King Cole-type of guy, so the theme for this party was “Swingers.” But that night, Dino and Sammie got lost in the brassy swagger and slightly-sleazy come-on of Herb Alpert and, of course, Dolores. He must have gotten four or five copies of that album as presents. Which is how I managed to squirrel away one of the extras for closer perusal beneath the ping-pong table that night. And what a night it was. In flannel pj’s, laying on my stomach, I watched my parents dance—a rare thing. My dad wore a metallic blue suit—even rarer—and my mom was in heels and stockings and they laughed and held tight to each other and no one would ever have imagined that in a very short period, these cool times and their marriage would both be over. Not even me. In between “A Taste of Honey” and “Whipped Cream” (which went on to an inglorious future as the theme song for The Dating Game) my dad, playing bartender, made highballs—that’s what he called them, never cocktails, even if they weren’t served in tall glasses—for anyone who was too hot and sweaty from dancing. Since this was something of a costume party (everyone was supposed to come dressed up like their favorite character from the Rat Pack), the drinks were special: cooling gin fizzes, tart daiquiris, and exotic sazeracs, a drink he’d learned about while in the military. Like Dolores Erickson, those mostly-forgotten cocktails are an indelible part of my memory of that night, a buoyant summer bash of sharkskin suits and spaghetti strap dresses, brassy horns and marimba band sounds. The next year, everything changed. Levi Strauss started selling bell-bottom blue jeans, Nat King Cole died, the first hippie festival was held in Golden Gate Park, and my parents separated. The following summer, on his birthday, my dad took me to see the Beatles second movie, Help! “I just don’t get it,” he said as we came out of the movie theater into the harsh light. But I did. The British were coming. Herb Albert was fleeing into the sunset in a Tijuana taxi. Often times, as people age, they become frozen in a particular period of time. Somewhere along the line, they stop changing their hair-do, get stuck listening to the same music, wear the same style of clothes. For both my parents, I think that time was 1965. Ten, even twenty years later, when I’d go over to my father’s house for dinner, he’d put on Whipped Cream and sit in his La-Z-Boy recliner, tapping his feet to “Bittersweet Samba,” and the image of that avocado green album cover with the dark-haired whipped cream beauty with a single finger to her lip would immediately come back to me. My dad would look at me and smile and I’d wonder if he was thinking the same lascivious thoughts I was about brown-eyed Dolores. Somehow, whenever I came over to visit, he’d ask me to make him a sazerac. He said no one else could make it as good. Not even him. Even at my own wedding reception, he asked me to go behind the bar, in my tuxedo, and make him “a proper highball.” It wasn’t a highball at all; it was a cocktail, one that, for me, will forever be associated with a steamy August evening back in the Mad Men era; a cocktail made with a dash of bitters and a twist of lemon that, nonetheless, always leaves me thinking of Dolores and a taste of honey. Stir all ingredients and strain into the ice-filled rocks coated with Pernod. Garnish with a lemon twist.